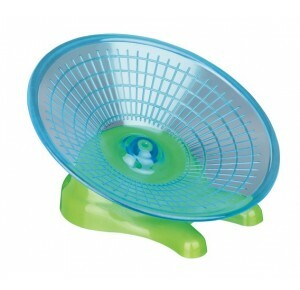 Perfect excercise wheel for rats & degus. Easy to clean. 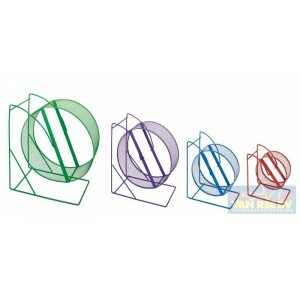 Revolutionary wheel. 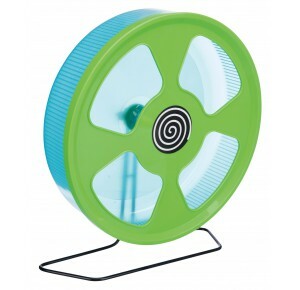 The exercise wheel with stand has a wide running surface and is very silent. 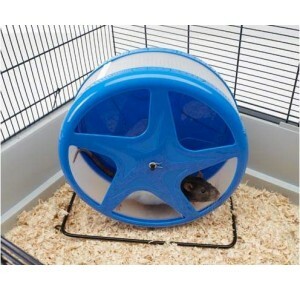 Thanks to the half-closed design of the wheel it is much safer for small animals. The risk of accidents such as broken legs, tail or neck is reduced to a minimum. 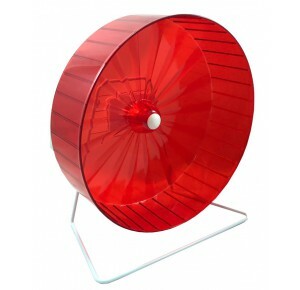 The exercise wheel with stand can stand in the the cage, or hang on the side of the cage. Recommended for hamsters and rats.